David Gilliland Racing (DGR) and CROSLEY Sports Group announced Todd Gilliland will drive the No. 54 Frontline Enterprises Toyota in select races in the NASCAR K&N Pro East Series (K&N) as well as Automobile Racing Club of America (ARCA) Series during the 2018 season. 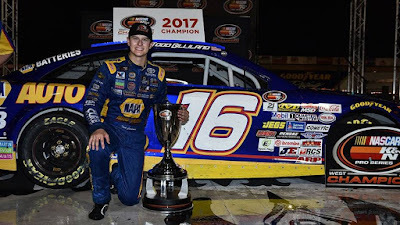 Gilliland amassed 18 wins, 25 Top 5’s, 45 Top 10’s and 15 Pole’s in three seasons racing in the K&N East/West Series’ combined. 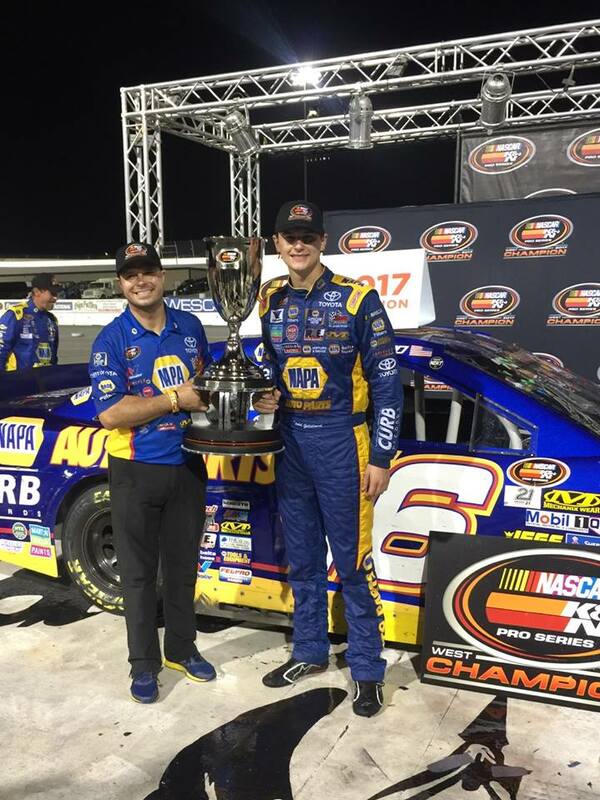 He also won the 2016 and 2017 NASCAR K&N West Series Championships and finished second in the 2017 K&N East Series. As no stranger to the K&N East Series, Gilliland will make his first start of the 2018 season at New Smyrna (Fla.) Speedway in February. 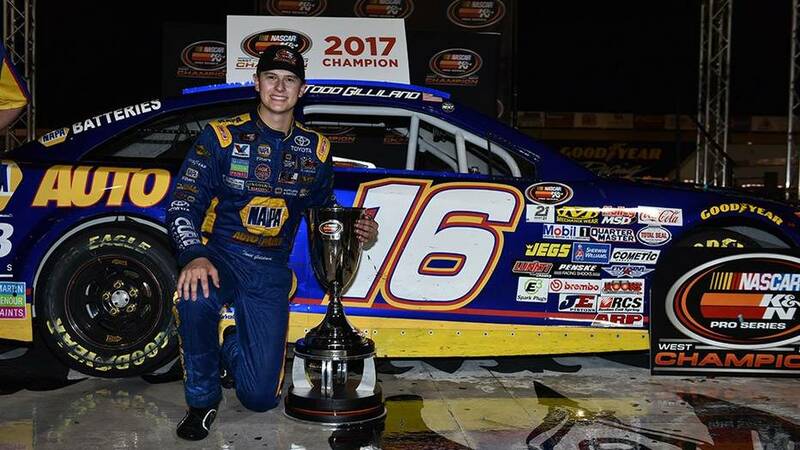 Since Gilliland won’t be eligible to run the larger tracks in the NASCAR Camping World Truck Series until he turns 18-years old in May, he will use the first few months of 2018 to race in the other series’. A product of the NASCAR Next program, Gilliland wants to gain experience for when he sits in the No. 4 KBM Toyota Tundra full time. Only days after his 15th birthday, Gilliland became the youngest driver to compete in the ARCA Racing Series back in May of 2015, at Toledo (Ohio) Speedway. A race he then won, becoming the youngest winner in ARCA Racing Series history. Gilliland will try his hand in the ARCA Series cars again for a few races beginning at Charlotte (N.C) Motor Speedway in May. “By putting Todd in DGR-CROSLEY equipment for the ARCA and K&N races, we hope the added experience will accelerate the learning curve for him in the truck series,” team owner, David Gilliland said. 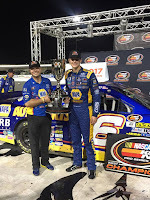 For the younger Gilliland to continue running out of the DGR-CROSLEY Racing stable is no surprise. The Gilliland family racing career dates back three generations as Todd’s grandfather Butch won the 1997 NASCAR Winston West Series Championship (now NASCAR K&N West Series) and his father, David competed full time in NASCAR Monster Energy Cup Series. It will be a big week in Daytona Beach, Florida, for DGR-CROSLEY as they have cars competing in the K&N East Series at New Smyrna Speedway, ARCA Racing Series at Daytona International Speedway and the owner, David Gilliland running the Camping World Truck Series race and Daytona 500. More announcements to come from DGR on the exact races and crew chiefs.